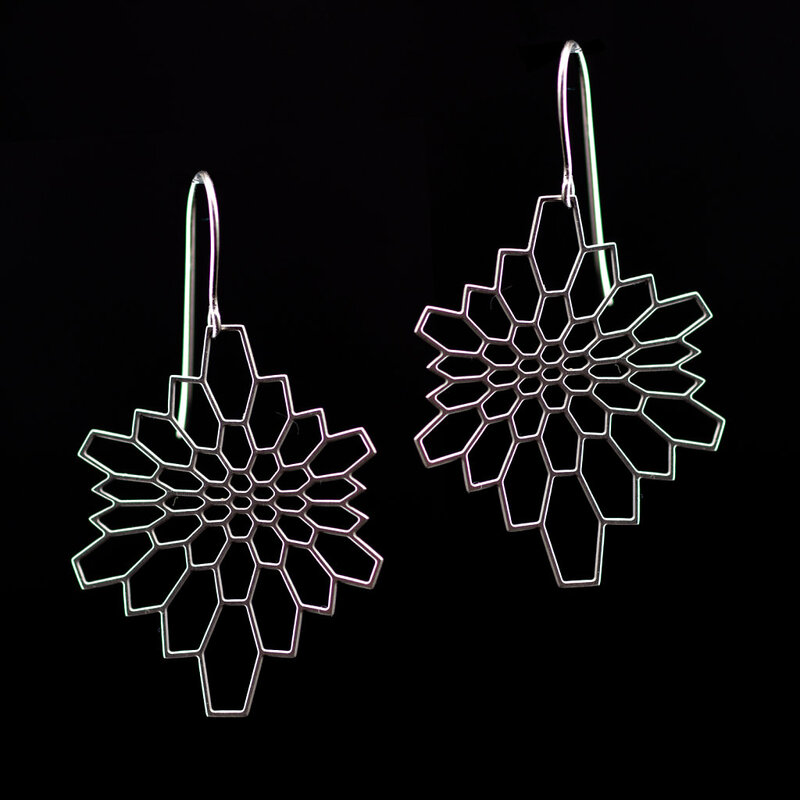 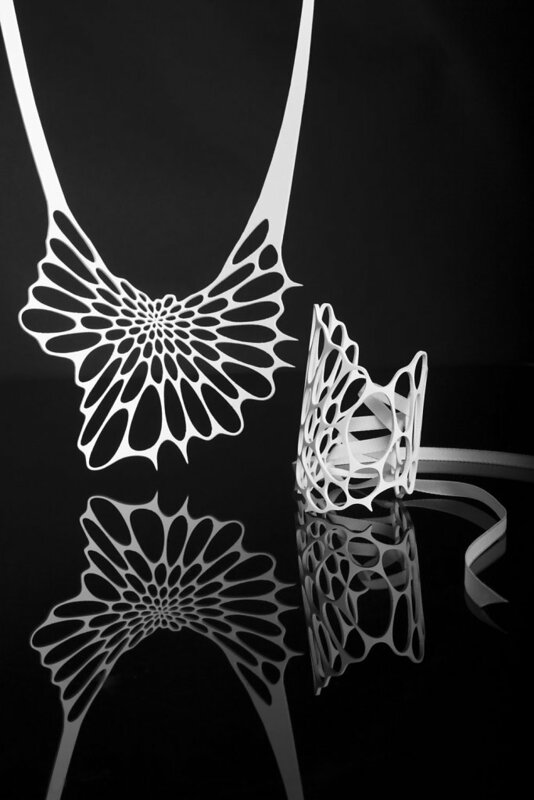 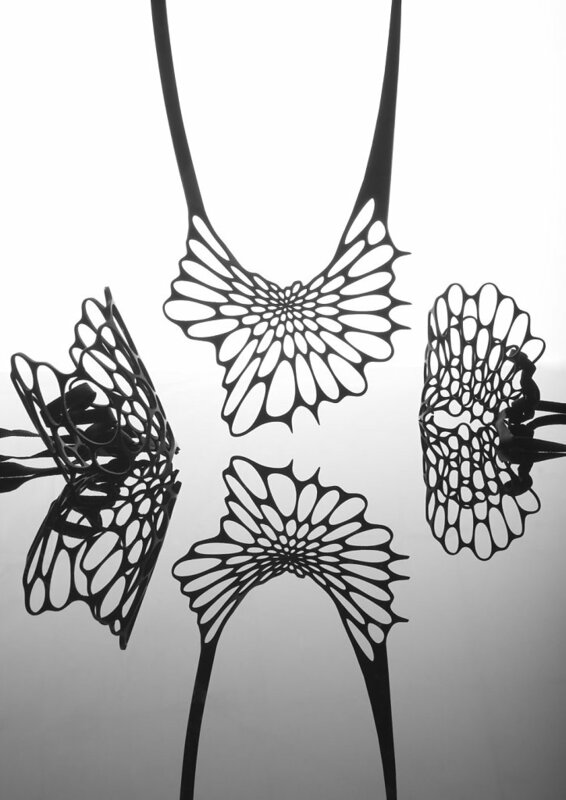 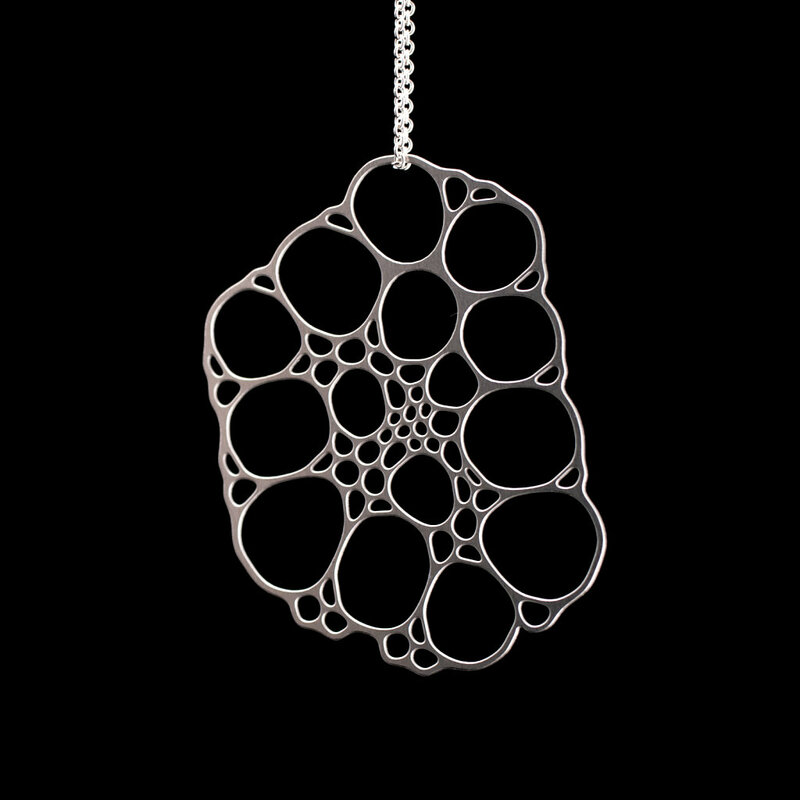 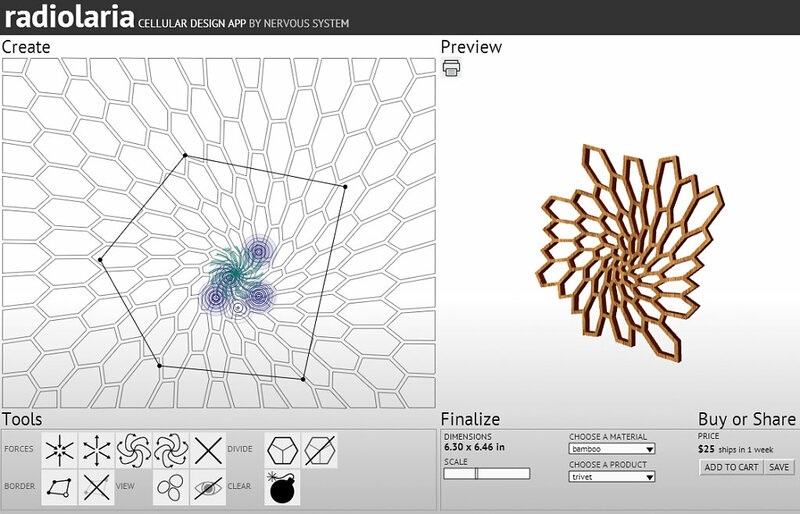 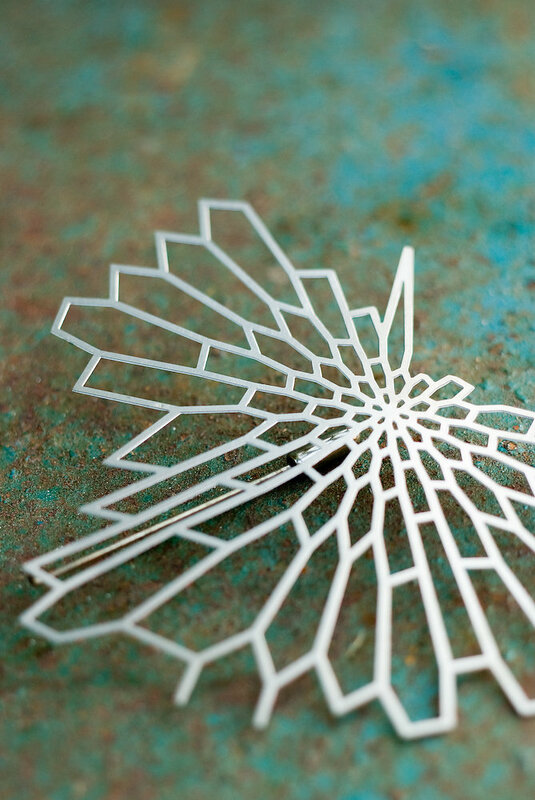 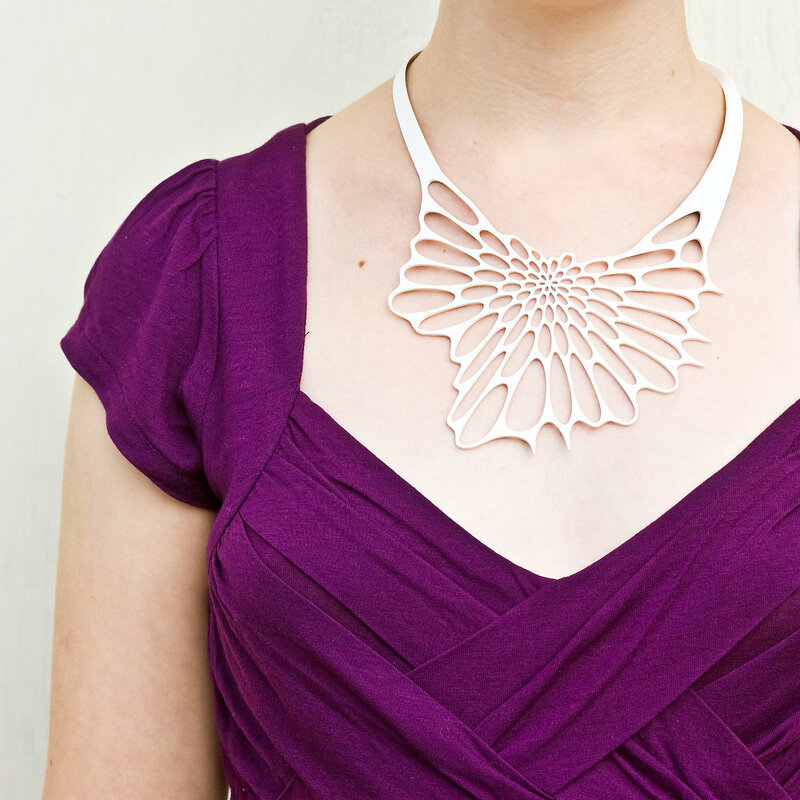 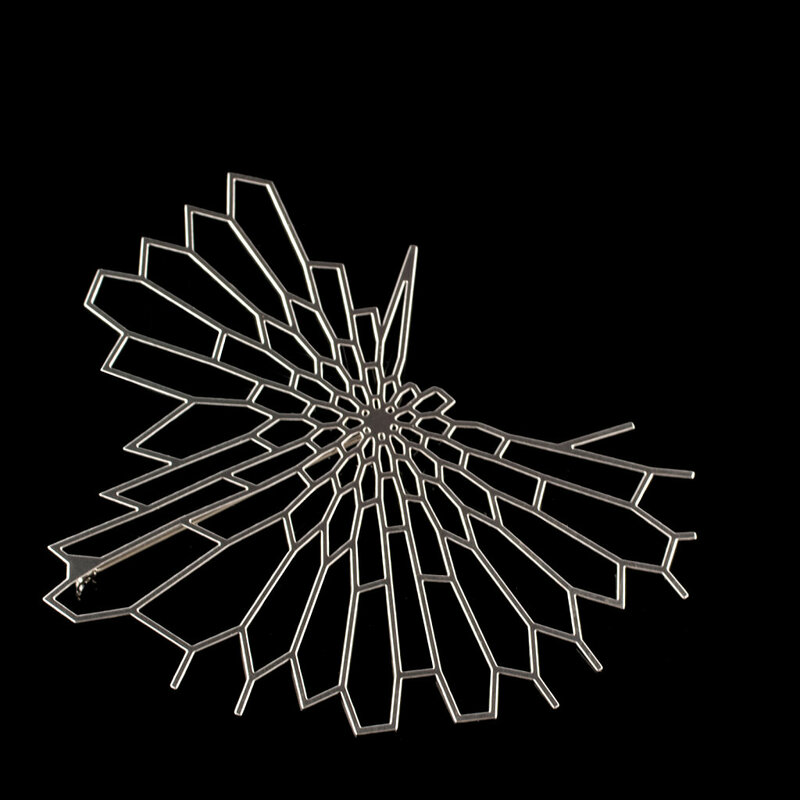 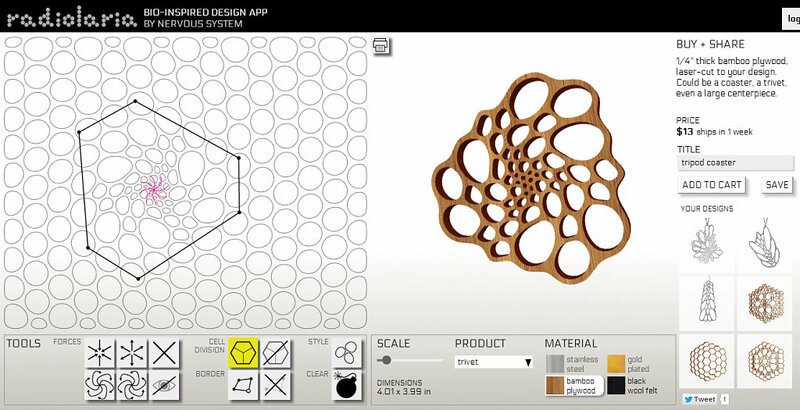 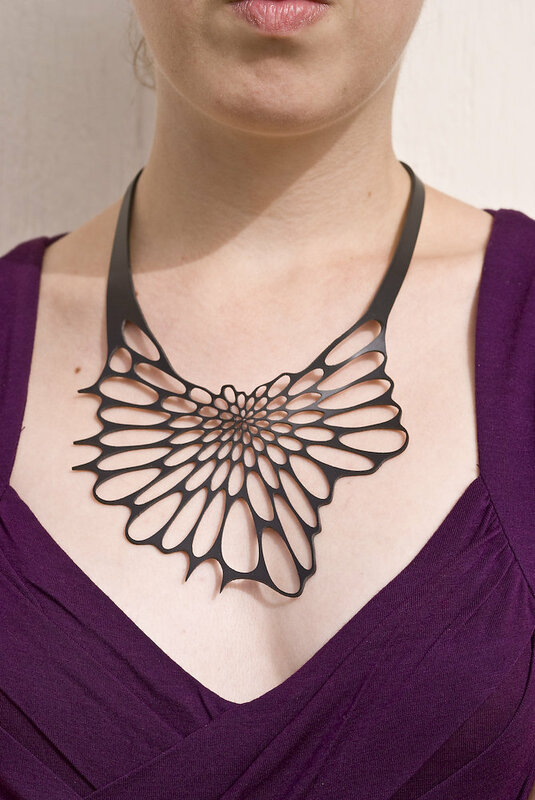 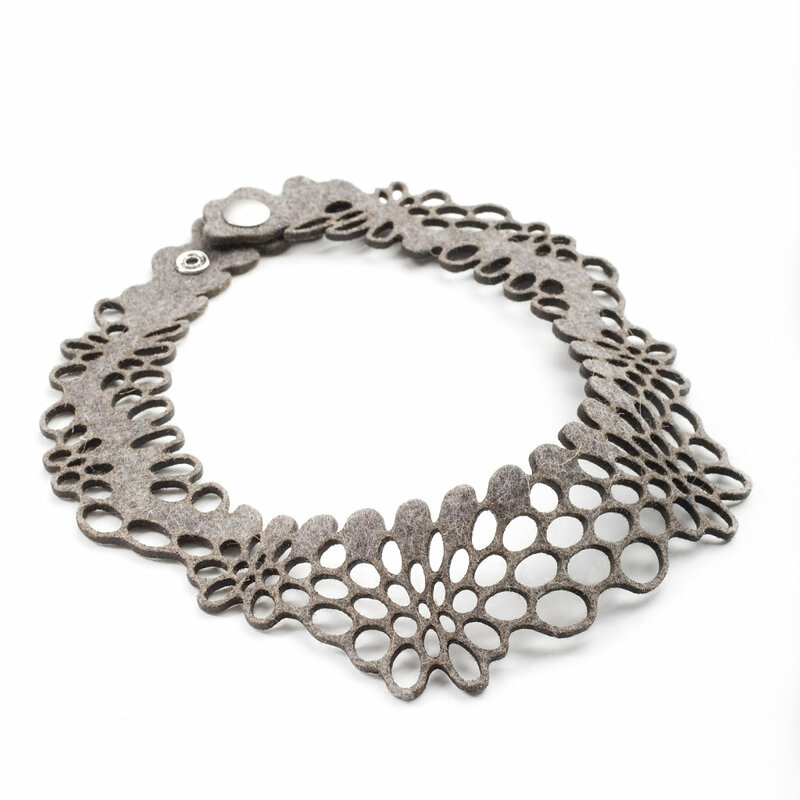 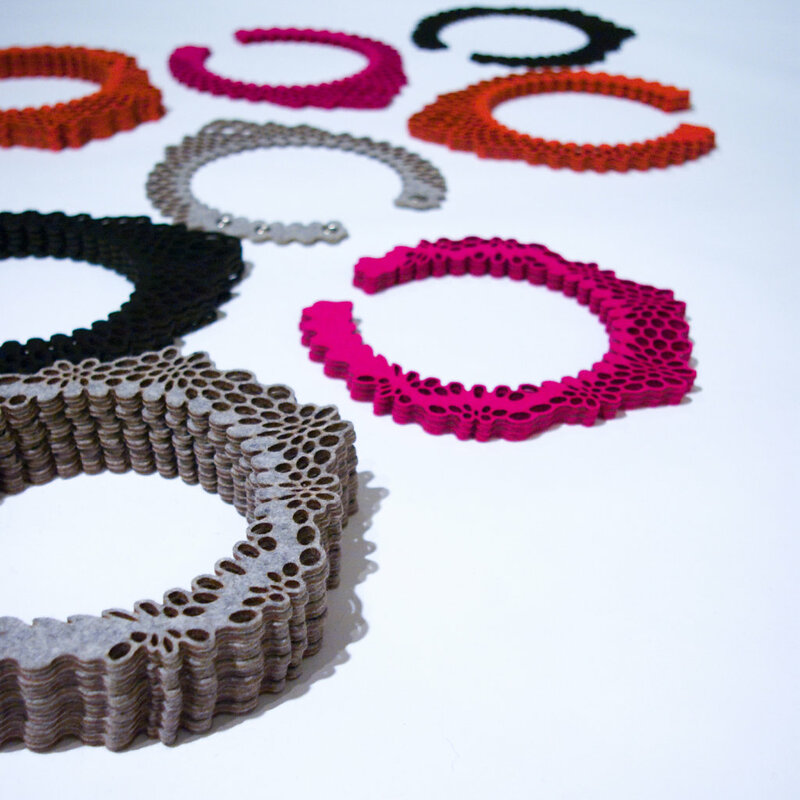 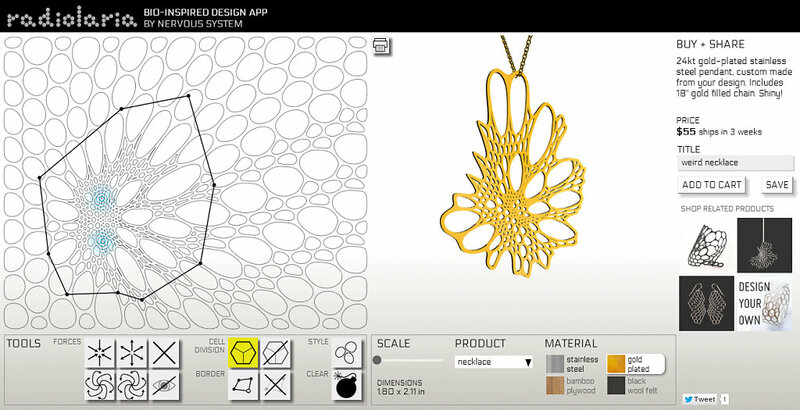 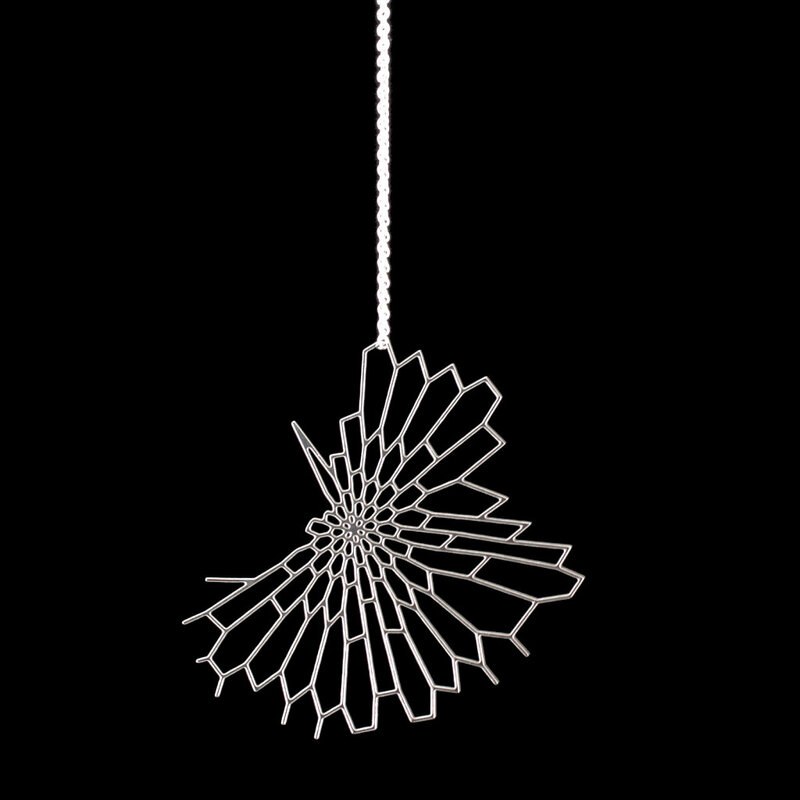 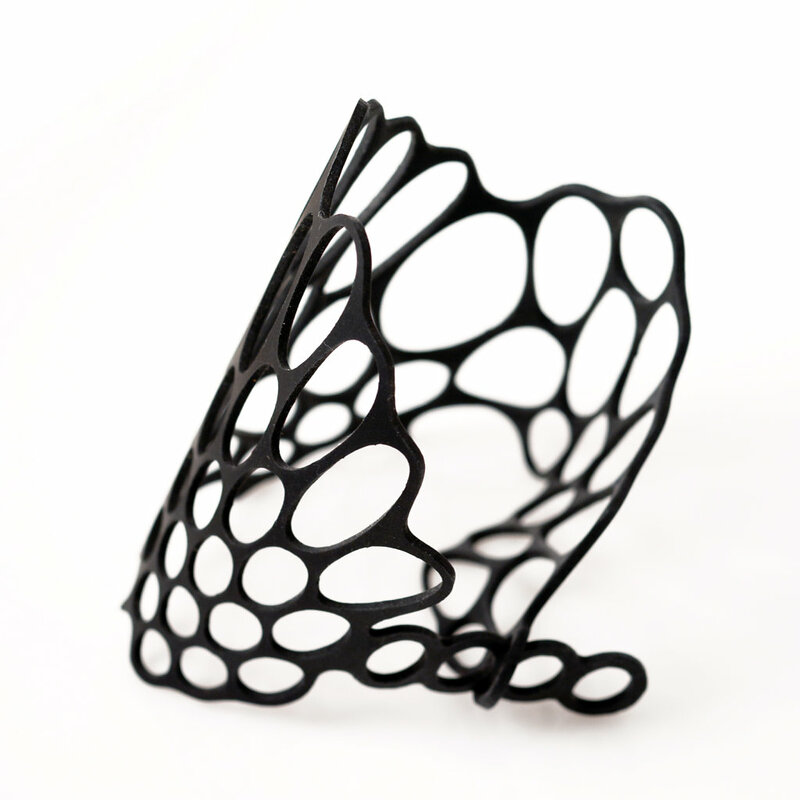 A jewelry collection we created with our Radiolaria software in 2007 which was inspired by the intricate mineral skeletons of Radiolarians. 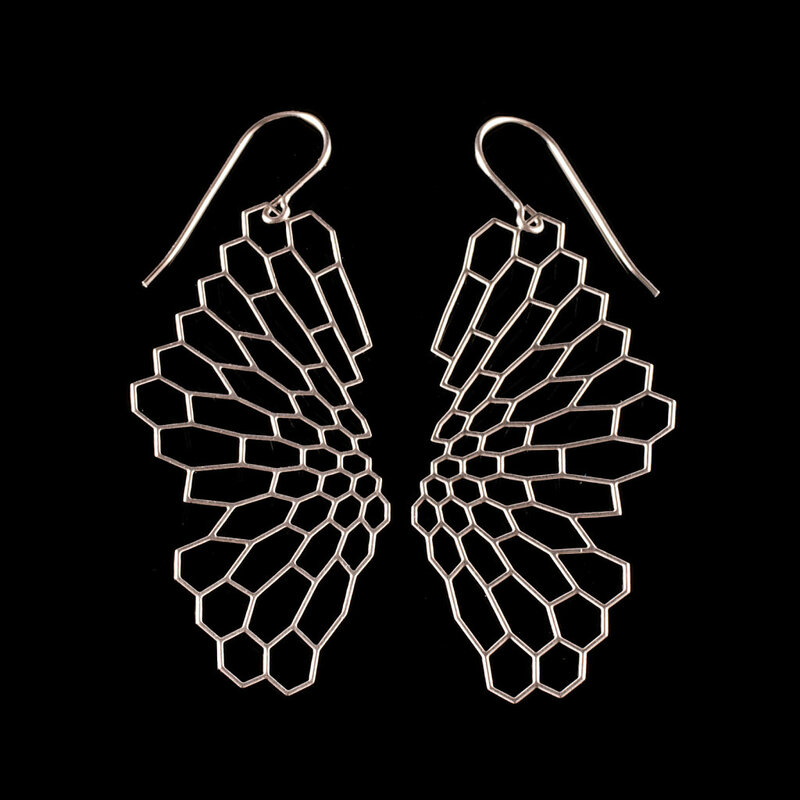 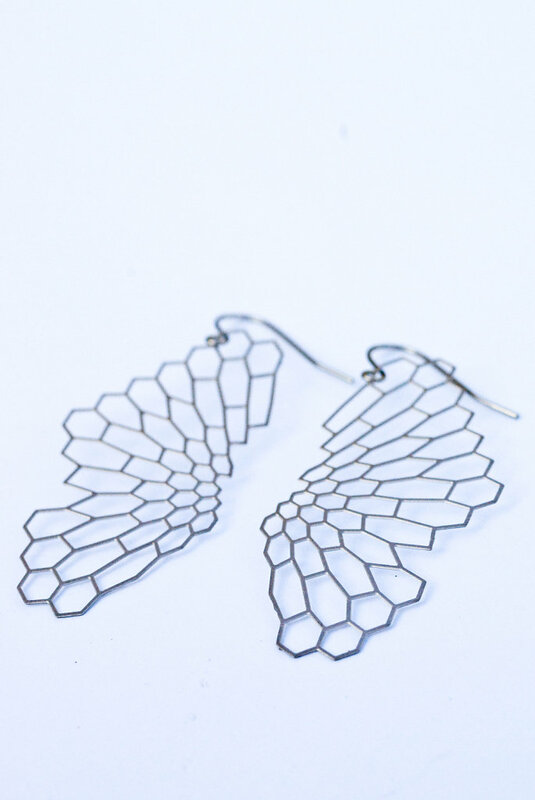 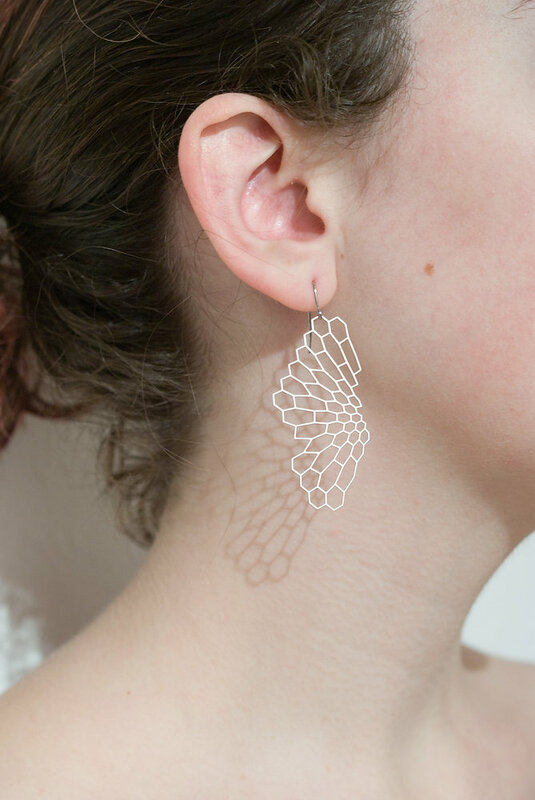 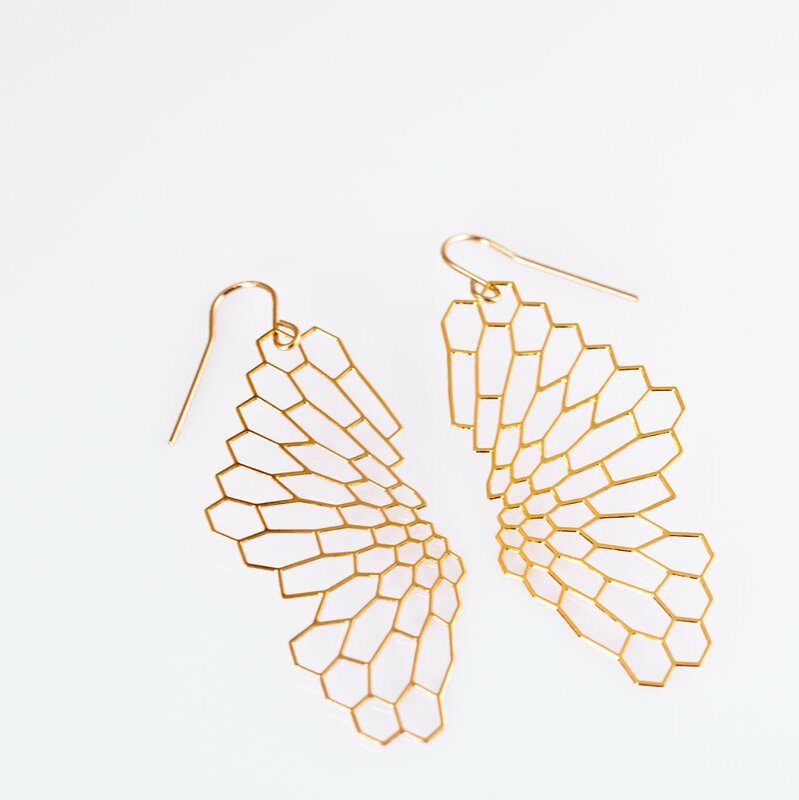 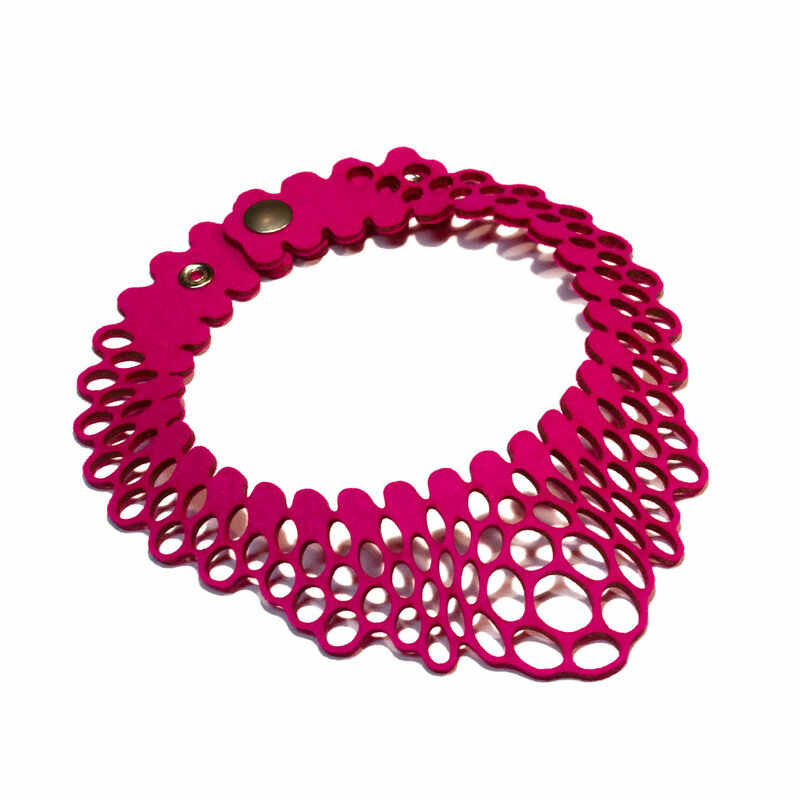 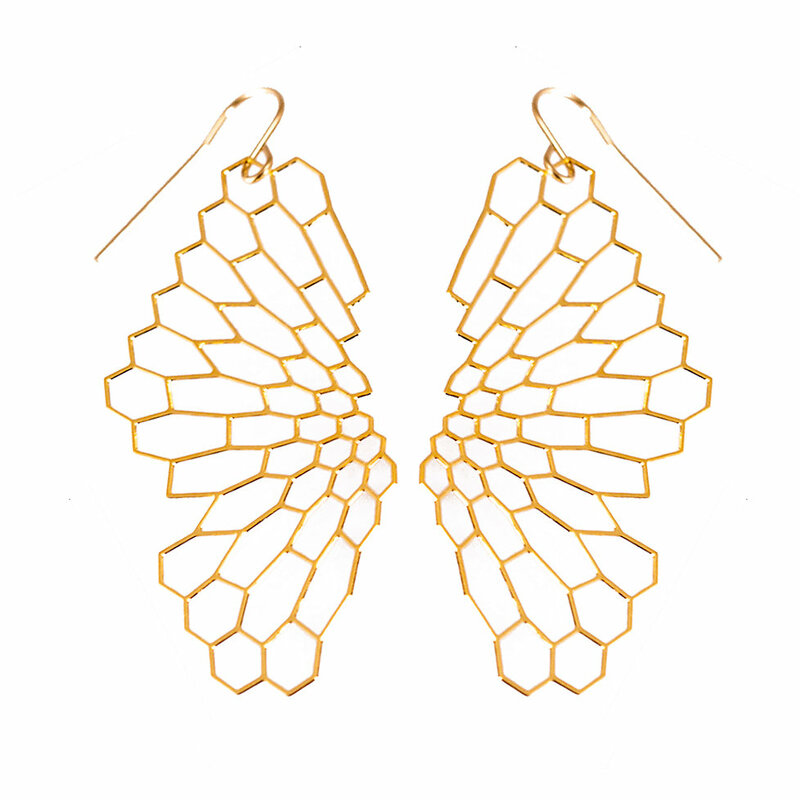 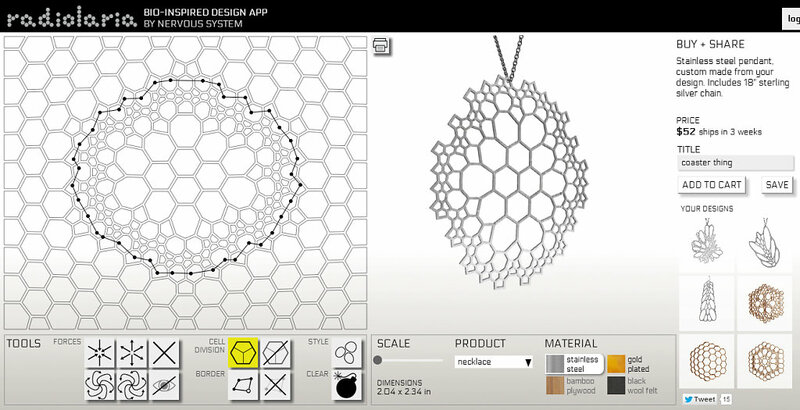 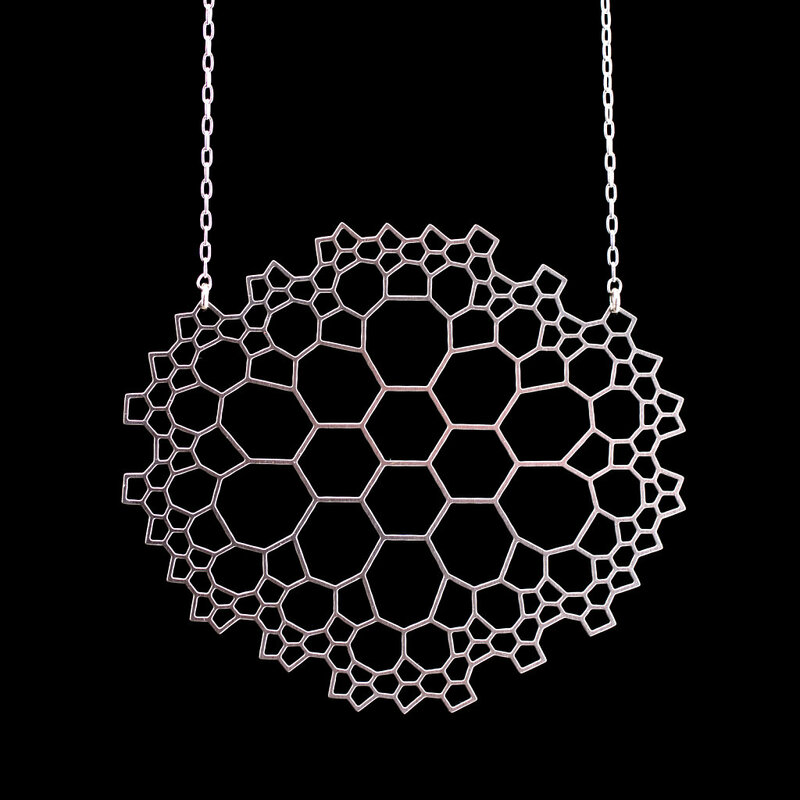 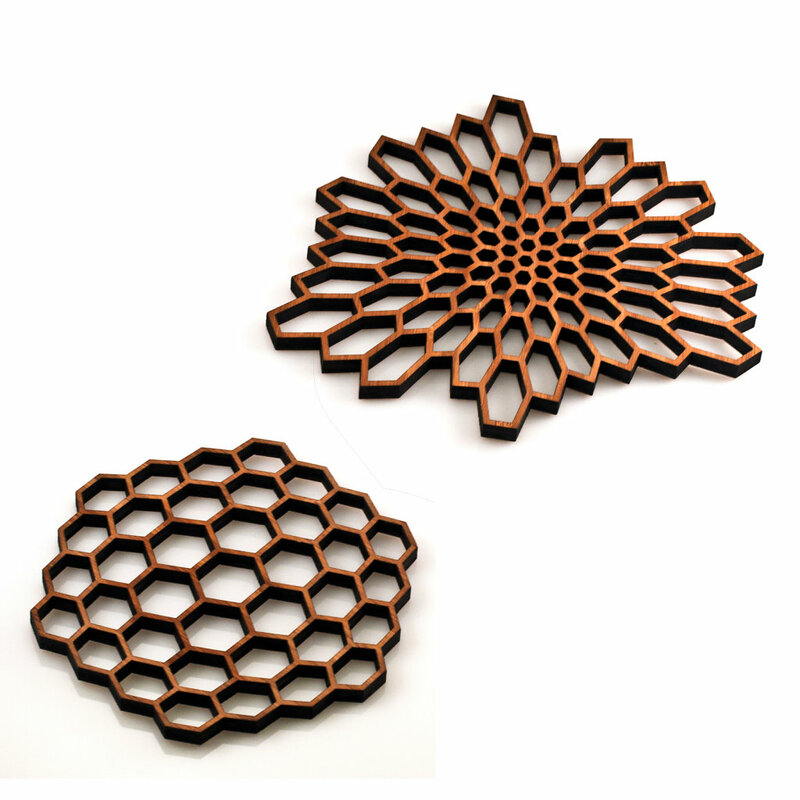 The collection includes delicate hexagonal mesh structures in photochemically etched stainless steel and bold pieces in lasercut silicone rubber. 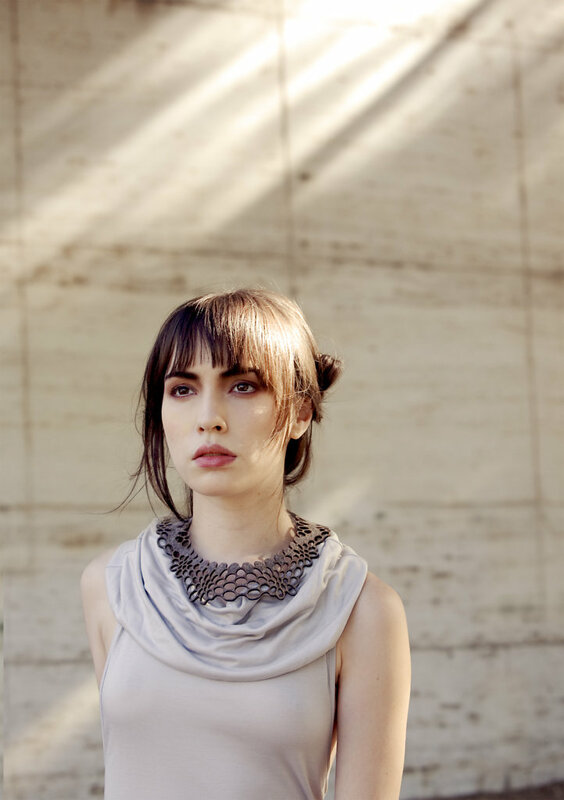 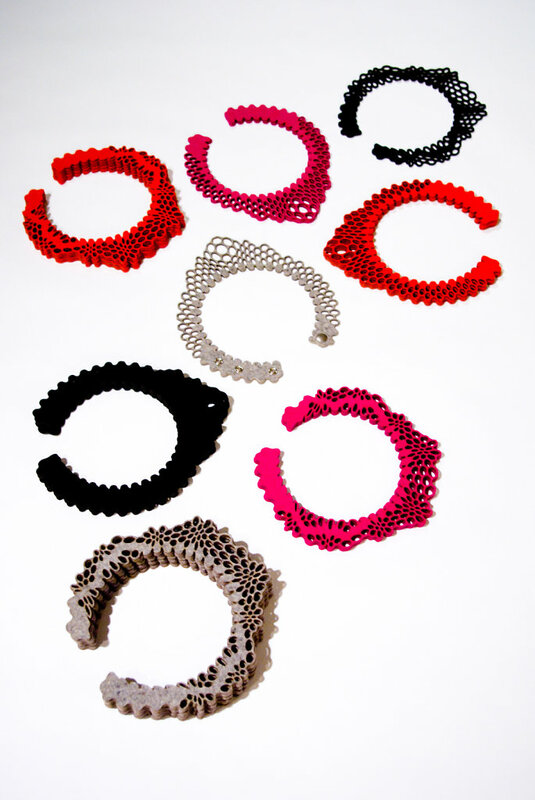 This was our first jewelry collection.